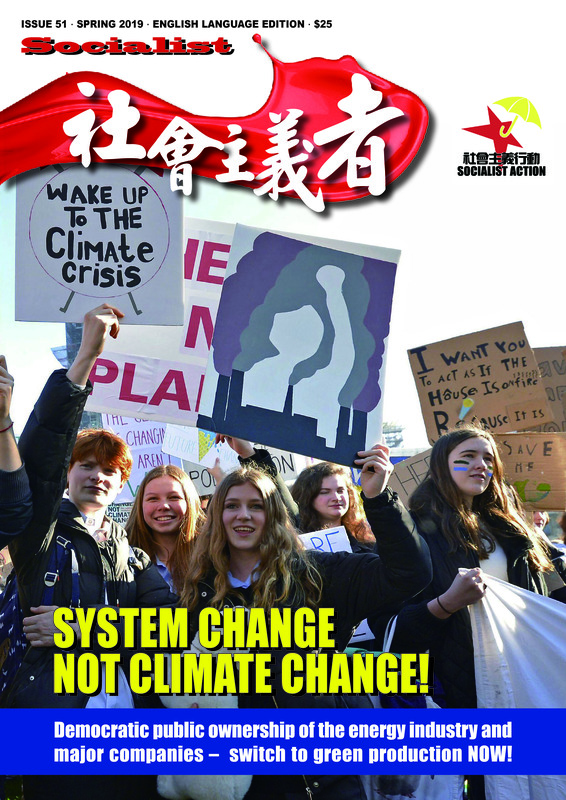 The democracy movement in Hong Kong has shaken the Beijing regime and Socialist Action (CWI Hong Kong) has played an active role in this movement. The socialist weekly newspaper Offensiv in Sweden talked to Dikang of Socialist Action about these events. What are the key lessons from the ongoing Umbrella Revolution? That a real movement like this, involving hundreds of thousands, is always richer, more creative, than even we socialists could imagine. We predicted a movement would break out, unlike the government it seems and just about everybody else. 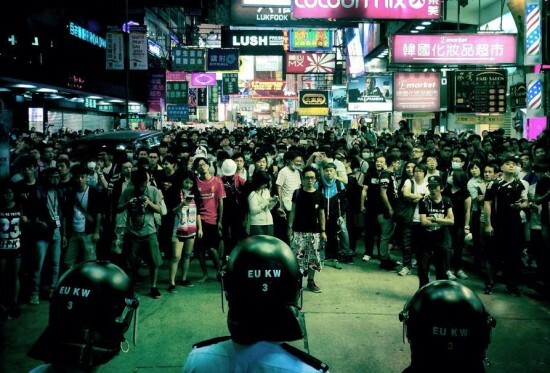 For some time the supporters of the CWI, Socialist Action, have said the situation in Hong Kong was becoming more and more explosive. It has the biggest wealth gap of any advanced economy; one in five live in poverty. A recent survey showed that 41 billionaires have a combined wealth equal to 74.4 percent of Hong Kong’s GDP. Only Swaziland has a higher concentration of wealth. House prices are the most expensive in the world. Many of the youth on the barricades can expect to live with their parents until their 40th birthday! The deadlock in the democracy struggle and refusal of the Chinese dictatorship (CCP) to make concessions has thrown a spark into this explosive mix. Hong Kongers have the right to vote but cannot elect the government – that right belongs to the CCP. Past protests, which include some huge demonstrations, have failed because of the policies of the bourgeois pro-democracy leaders. They insist this is “only about Hong Kong” because they don’t want to alarm Beijing by linking these protests to the even more glaring lack of democracy in China. This is like saying we can have smoking and no smoking seats side by side on a plane – but we breathe the same air! 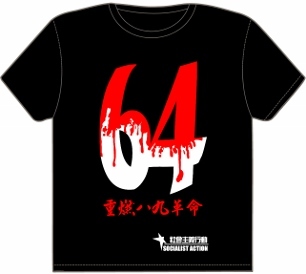 The CCP can be fought in Hong Kong, but it can only be defeated in China. Similarly, these leaders support capitalist ‘democracy’, but capitalism doesn’t want democracy in Hong Kong or China. The capitalists are in bed with the dictatorship – they fear that democratic ‘reforms’ will open the floodgates, endangering the dictatorship but also capitalism. Hong Kong’s hated Chief Executive CY Leung recently let the cat out of the bag, saying that if there was democracy,“poor people would dominate”! A top CCP advisor, Wang Zhenmin, agreed with Leung saying, “Hong Kong capitalism will stop [working]” if there is a free vote – he actually said this! With so much of the global capitalist system now reliant on China’s economy, the dictatorship feels it has a strong hand to refuse any concessions. It appears strong, but actually it isn’t. It is deeply split and fears its survival is on the line – another thing the bourgeois democrats don’t get. Which forces are in the democratic camp? The mass movement is made up of many different layers, young and old, and the majority are not supporters of any party. The main democratic parties inside Hong Kong’s fake parliament (only half the seats are elected) represent different shades of liberalism. This includes groupings that would be close politically to Sweden’s right-wing social democrats. The Democratic Party and other so-called ‘moderate’ politicians stand for compromise with the dictatorship and a step-by-step approach. But this has been tried for more than 30 years and got nowhere, which is part of the background to the ‘umbrella revolution’. This broke out despite these leaders and pushed them to the sidelines. There is also the ‘Occupy Central’ (OC) movement, which despite its name played no part in, and actually tried to prevent, the current mass movement. OC proposed a much tamer, tokenistic occupation, which would only last five days and then go and turn itself in to the police. They continually delayed starting their occupation – by more than a year. In the end, the youth especially, including the students who launched a one-week school strike, got fed up and went ahead without these ‘leaders’. The current protests would never have developed in terms of size and audacity if these leaders were running things. The OC leaders told people to go home already on the first day when the first teargas canisters landed (September 28). They’ve said similar things time and time again – urging the occupations to scale down or retreat altogether. But they also admit they “cannot control” the movement. Unfortunately, while these leaders are largely marginalised, their confused and half-hearted ideas on questions like how to challenge the dictatorship, and what demands to raise, are still widespread. This is because they have not been challenged – replaced – by a clear alternative. There is a vacuum of political ideas and an overreliance on “action”. Of course action is very important, but many of the young activists focus only on this and underestimate the importance of ideas – of the need to debate a clear strategy for the movement to win. Many say quite heroically “we must make a stand” – but they don’t actually believe the Chinese dictatorship can be beaten, or its position changed vis-à-vis Hong Kong’s elections. This gap – in terms of which programme and methods are needed – is what Socialist Action is taking up through our activity in the mass movement. Masses reclaim Mong Kok from police on October 18. What’s the situation right now and what happens next? The situation is changing every day, with sudden developments that can influence the overall direction. The occupations have dug in for three weeks, despite massive government efforts to break them using violence, police raids and attacks by hired criminals. These attacks have largely backfired and boosted the protests. 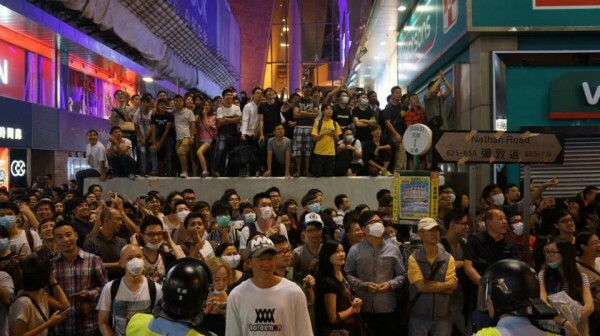 On October 18, a big victory was achieved in Mong Kok, a working class district where Socialist Action are active. The police staged a dawn raid with dumper trucks and cranes to clear away the barricades and tents. But that evening more than 10,000 people turned out, rebuilding the barricades and forcing the police to pull out completely. This came at the price of many injured as the police tactics have become more and more dangerous. Journalists have been attacked by the police and arrested, which is also a deliberate tactic as the government wants to control the news coverage. To build upon such fine examples of mass action the movement needs real grassroots organisation. We’ve stressed the need for action committees to democratically run and defend the occupations. This is unfortunately lacking. There is no coordinated leadership or organisation. Occupy-type movements are always hard to sustain over the long run, for obvious reasons of exhaustion and falling numbers. This is also why we stress that to succeed the movement must escalate to strike action, starting with a 24-hour general strike – of workers and students. A journalist was pepper sprayed by police while assisting a fallen colleague. Will there be a stranglehold on the little freedom that has existed in Hong Kong, or will there be relaxation? This depends on how the struggle unfolds. 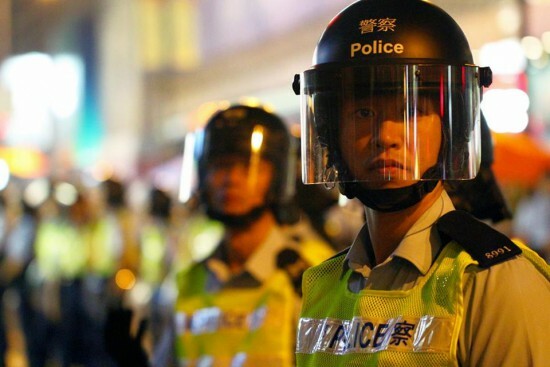 There is no doubt the CCP dictatorship and its Hong Kong puppet regime want to rein in democratic rights, suppress the more ‘radical’ political groups, and rig the next legislative elections to weaken the opposition. They would dearly like to revive Article 23, a repressive security law that would limit the right to protest and make it a serious offence to criticise the CCP. The CWI would be outlawed – as we are already in China – if Article 23 is passed. But even if the current movement doesn’t succeed, becomes exhausted, it is not at all certain the government can carry through its anti-democratic plan. It will try, but will meet resistance. This struggle has radicalised and angered hundreds of thousands, especially the younger generation. The police are now widely detested as thugs. It is common that protesters now chant “black police” which refers to the police collaborating with organised crime. The most likely scenario whatever the immediate outcome is a prolonged period of political and governmental crisis, with new flare-ups of mass protest possible. What’s the CWI’s role in the struggle? What difficulties have we met? It is a very complex movement with many different and antagonistic layers. While the movement is attacked from outside by police and gangsters, it also faces dangers within. These span from the non-stop barrage of defeatism from OC and the compromise wing, to the anarchistic far-right ‘nativists’ who combine crude but popular denunciations of the compromise politicians with anti-mainlander racism and attacks and threats against the left. So, there are some ‘Ukrainian features’ within the struggle, but thankfully not as strong as in the Ukraine. The nativists have a visible presence in the occupations, particularly in Mong Kok, which is seen as a more uncompromising and ‘anti-leadership’ protest site compared to the main site around the government headquarters in Admiralty. The nativists also appeal in a populist way to growing independence sentiment, but they have no strategy whatsoever for how this could be achieved. Some have illusions in Western imperialism. But mostly they just blot out China – and the ‘small detail’ of the dictatorship – as if this is enough to defeat the regime. Socialist Action has been attacked and slandered by the nativists many times. They’ve surrounded and shouted down our stalls and speeches and circulated online threats to drive us out of the occupation. When our members were physically attacked by pro-government thugs, the nativists joined in and shouted for the stalls run by Socialist Action to be closed. We’ve produced leaflets exposing their ideas and methods and stood our ground. Sometimes we have split them and turned the crowd against them. In the current struggle they have to some extent been exposed as ‘fake radicals’ – they also vanished during the big police attack on Mong Kok on October 18, leaving it to others to defend the occupation. There are growing suspicions of CCP infiltration of the nativist groups. Socialist Action is the only political grouping that links the democracy struggle with the fight against capitalism. We explain this is not just a “nice idea” but is actually the only way the democracy struggle can win. This is because the capitalists support the dictatorship but also because the kind of movement needed to overthrow the dictatorship cannot limit itself to ‘universal suffrage’ but must stand for a socialist solution – to revolutionise the economic system that causes poverty and exploitation. Socialist Action is alone in saying that the ‘umbrella revolution’ has to spread to China. Our role is to try to point a way forward, to offer an analysis and fighting slogans to avoid mistakes that could derail the movement. At the same time, the left as a whole and Socialist Action within the left are unfortunately only a minority at this stage. The working class isn’t a conscious organised force yet – although many working people have joined the protests. The need is for the socialists, the CWI, to become a stronger voice, and so in addition to trying to build and politicise the mass struggle, and for example playing a pioneering role for the school strike, which we did, we also want to recruit members and become a bigger force. That’s the best guarantee that future waves of struggle will start on a stronger, clearer, footing. 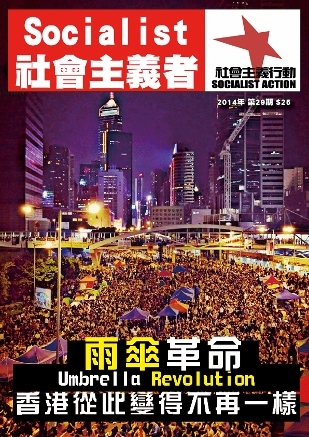 October issue of Socialist magazine, produced by CWI in Hong Kong and China.